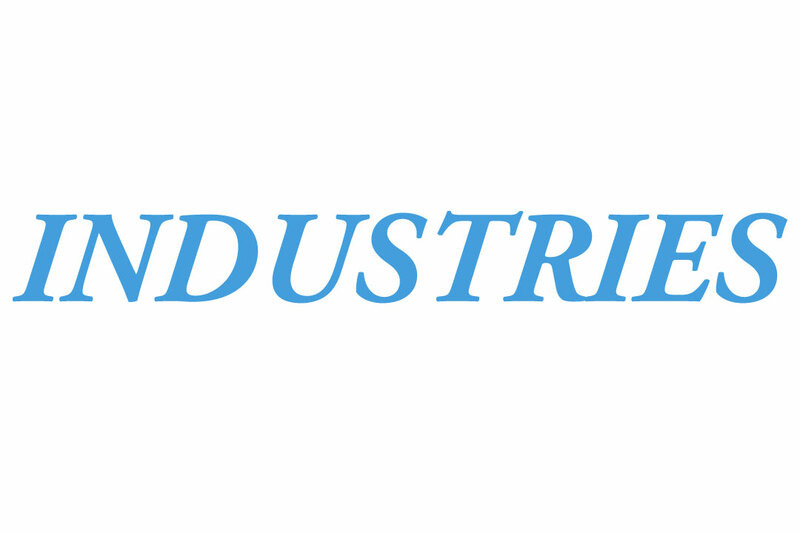 This equipment is designed for many applications! 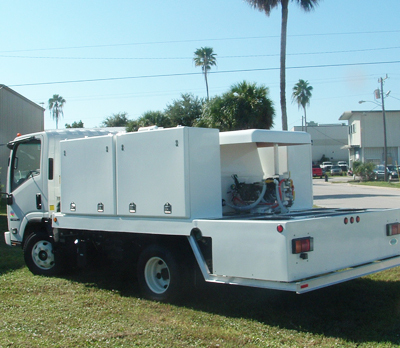 They are self-contained sprayers that generally feature a gasoline engine and a spray gun. With welded steel frames and a tough powder coat paint finish these sprayers have strong frames that allow them to be moved and set on almost any surface. 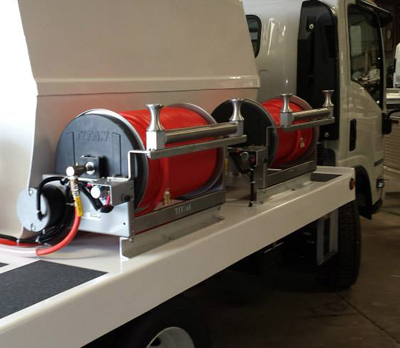 Skid Sprayers is ideally suited for pick-up truck installations as shown for vans andf latbed trucks, the reel can be mounted beneath the pump and engine. 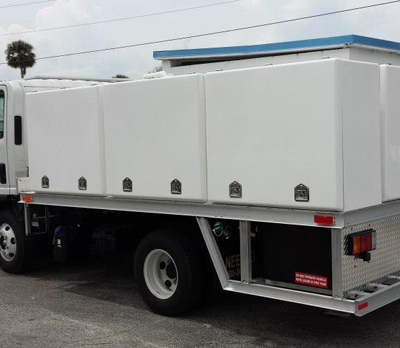 100,200 and 300 gallons tanks are available. 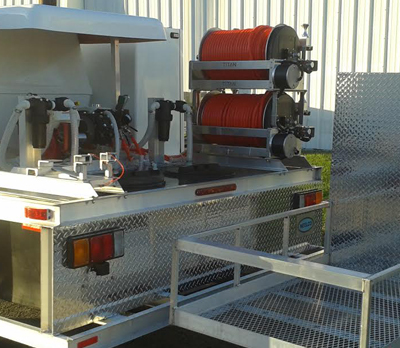 You can contact us for a FREE custom quote and consultation to build a skid sprayer for your personalized requirements. 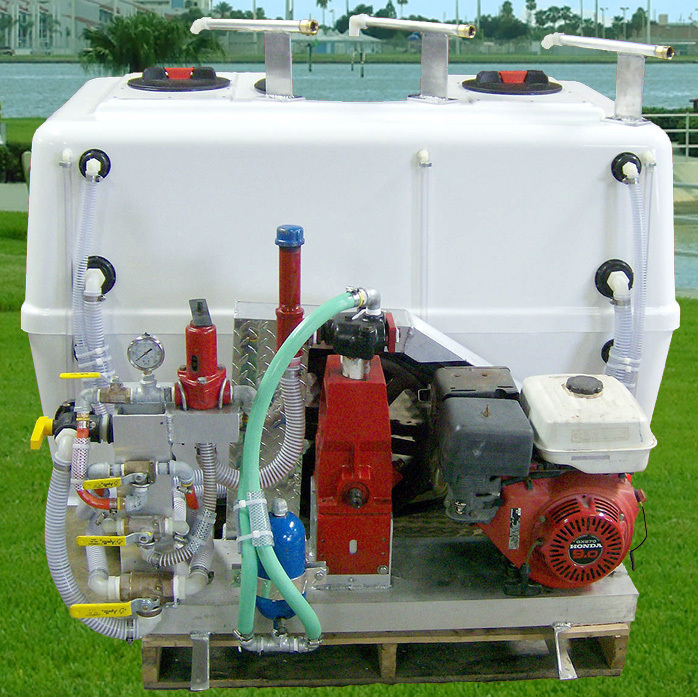 Need help determining which sprayer best fits your needs? 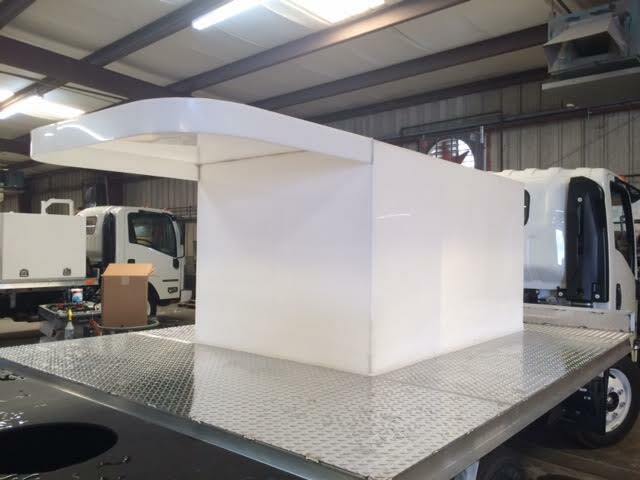 Completely enclosed trailer set up to provide clean/professional appearance and equipment protection 200-gallon fiberglass tank split 150/ 50 tp accommodate both large and small applications. 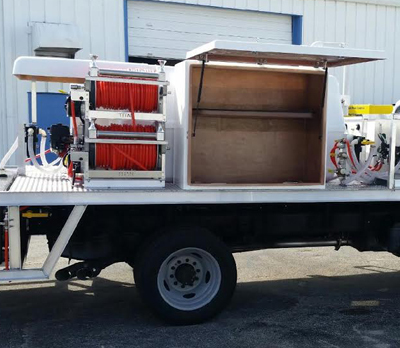 Manual hose reel with 300’x3/8″ spray hose plumbed to spray from either tank. 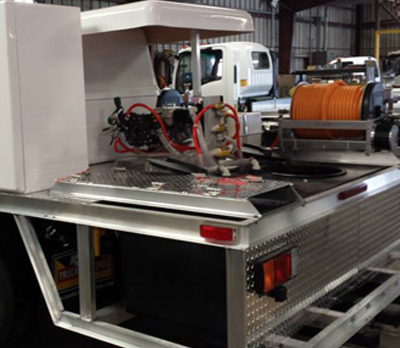 Complete unit mounted on all aluminum skid frame for easy installation and removal. 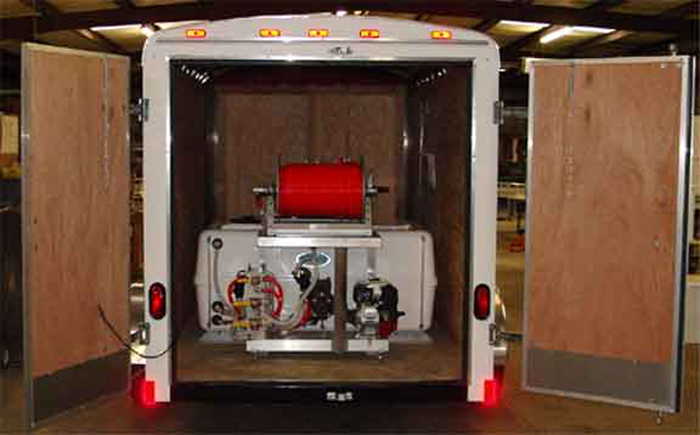 All equipment can be customized to meet customer’s specific needs. Neelco’s Main Tanks are made from high strength and rugged Polyproylene PLASTIC. This product is the same material we use on our drop tanks!! 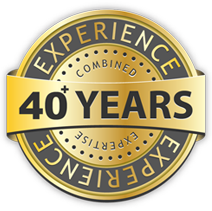 Can be built to almost any specification! !Both are UV resistant and chemical resistant. Iron will not stain this tank!! Wettable powders will NOT cake up on the bottom, and because you can see into it……no need for a sight gauge!! 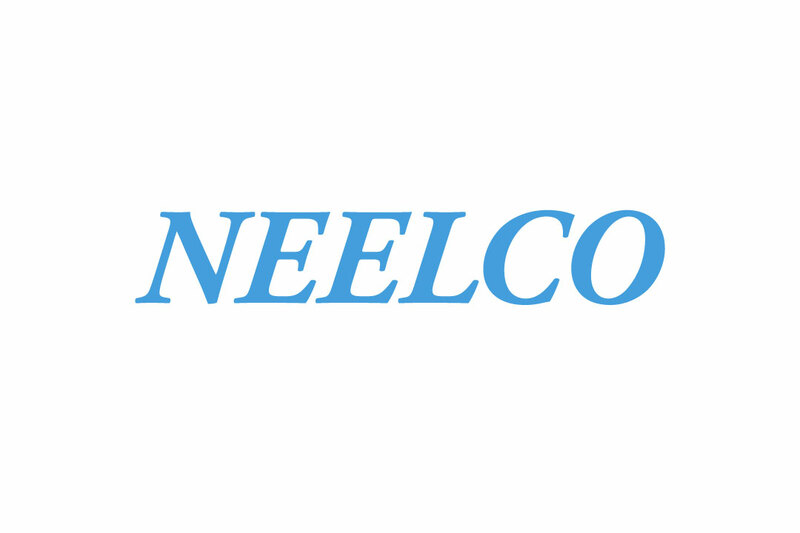 Call NEELCO for more information. THE FUTURE OF PC IS HERE! !